Purple Leaf Farms: 61st Street Farmers Market- Here We Come! 61st Street Farmers Market- Here We Come! We are happy to announce that we will be participating in the 61st street farmers market starting in late May. This market takes place every Saturday from 8AM-2PM. This also means that this location will be added to our CSA pick-up location options. This is in addition to the Hines VA Farmers Market which we are happy to be participating in for our second season. Hines VA takes place on Thursdays from 7AM until 1PM at the Hines VA hospital located just a couple miles southwest of Forest Park. 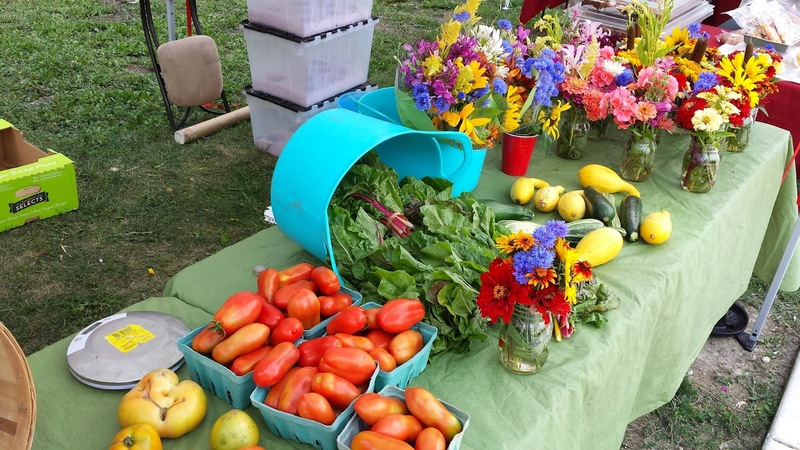 We can't wait for farmers market season to begin! Hope you're looking forward to it as well!